Whether you already have your data off-site in a secure location and looking to renew your contract and save costs or whether you’re considering taking your data off-site to a ‘DR Ready’ external environment that is secure, replicated and monitored on a 24 x 7 x 365 basis by dedicated professionals, Missing Link are in a position to help with the migration of your data. 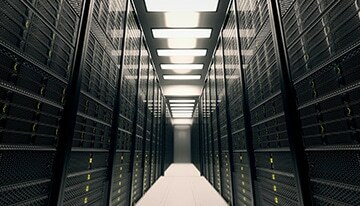 All data would be backed up in full before any migration took place to ensure no data loss. We would also consult with you on the whole journey, ensuring your confidence is maintained that you are dealing with the right company for your needs. Any direct concerns or queries would be boxed off and assurances provided by our dedicated Account Management team to give you the peace of mind you need in transition. A Data centre migration project can be part of the normal life cycle of a typical enterprise once a decision has been taken to backup and host your data off-site. As Companies get bigger, many will reach a point where on-site Management of 'big data' becomes an arduous task; maintaining multiple databases on many devices and hardware, ensuring data availability as and when required by your users, not to mention the additional costs of the necessary hardware, software and backup tools to ensure this works for the business, integration of systems, applications and infrastructure, together with consolidation of staff and support services becomes a key driver for improving efficiency, and reducing complexity and costs.